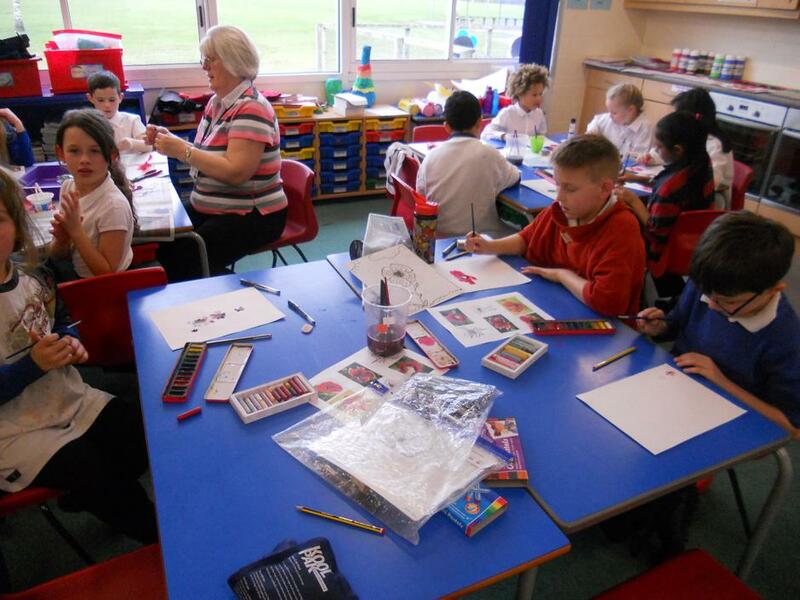 On Thursday 19th March everyone became an artist for the day. 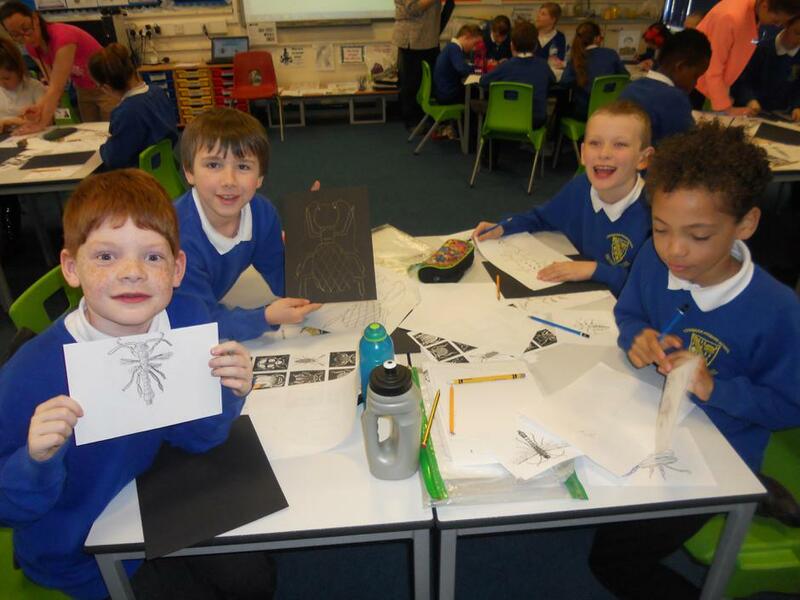 Mrs Clayton (our art coordinator) chose 12 different artists for classes to study, a real mixture of styles were chosen, from Andy Golsworthy to David White. 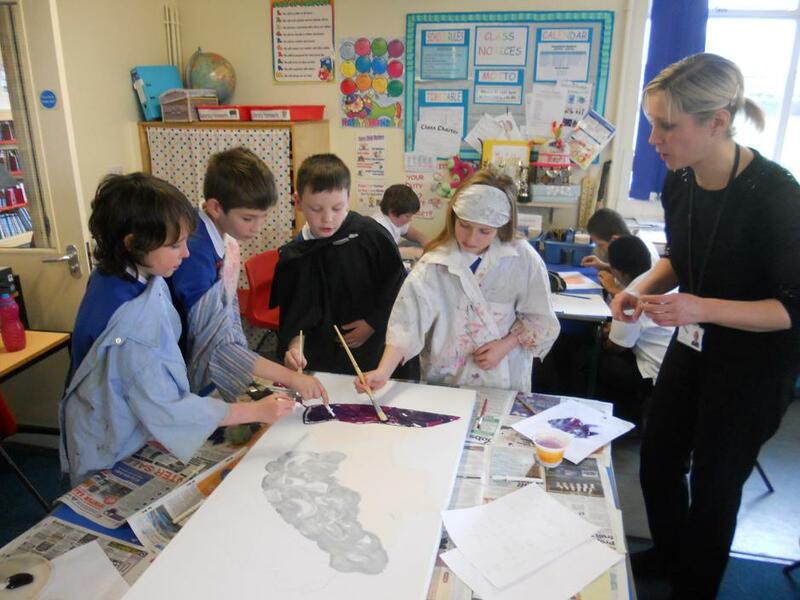 Three artists also spent the day with us creating wonderful canvases. 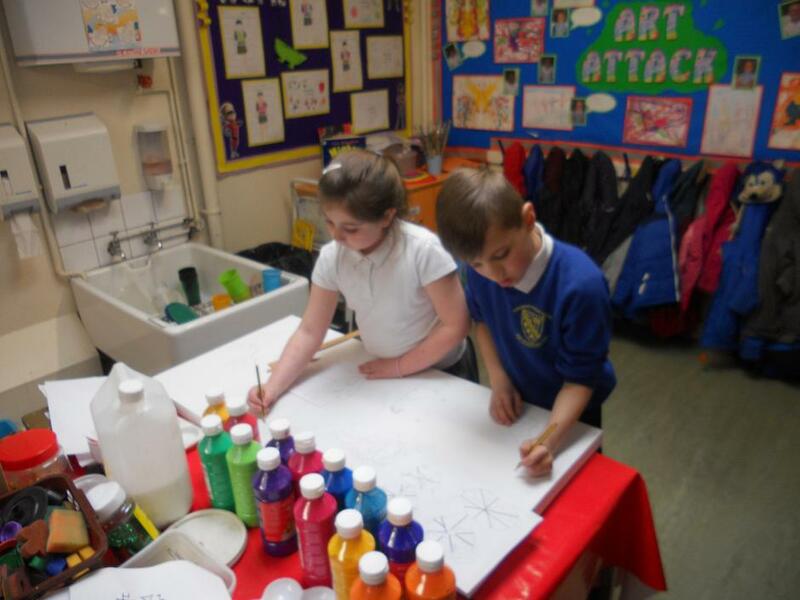 Everyone learned and practised new skills, from colour mixing to printing with shaving foam and inks. 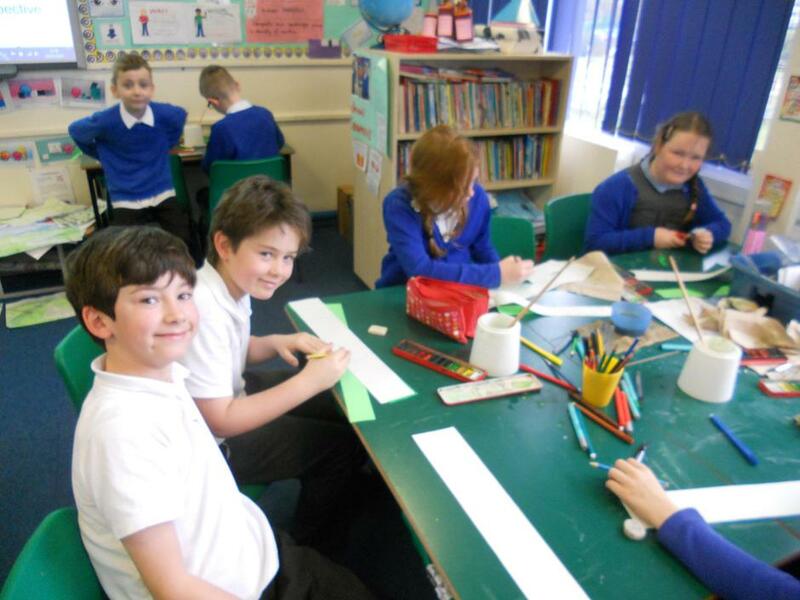 There are certainly some materials we will be ordering after the day. 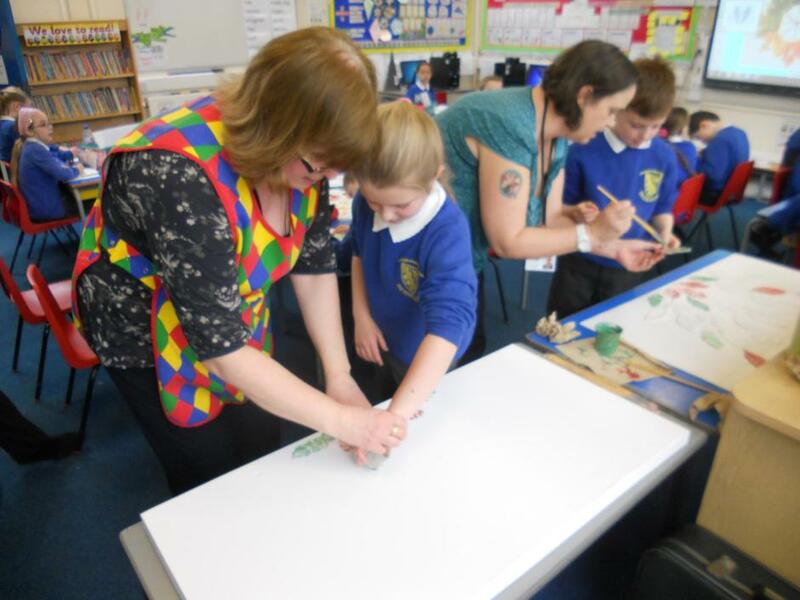 We hope you enjoy the canvases, which will be on display throughout the school. 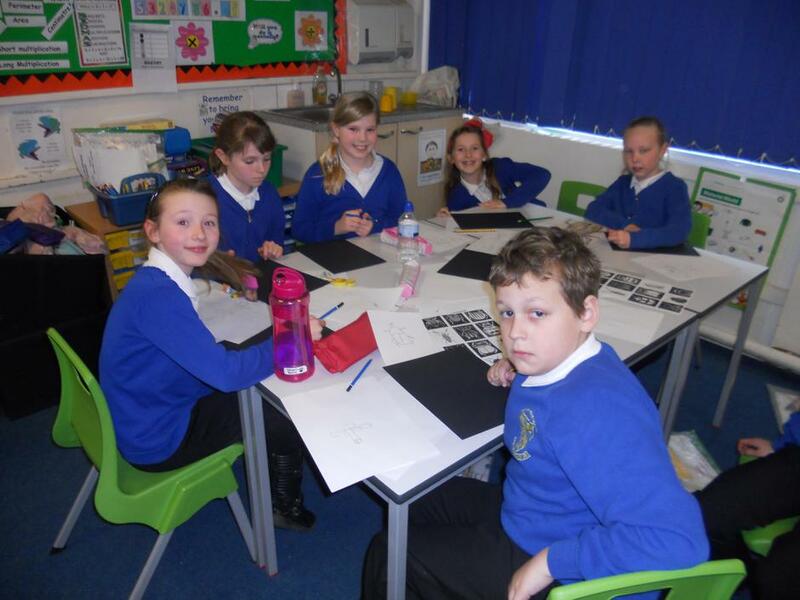 Can you find all 12 at parent evenings next week. 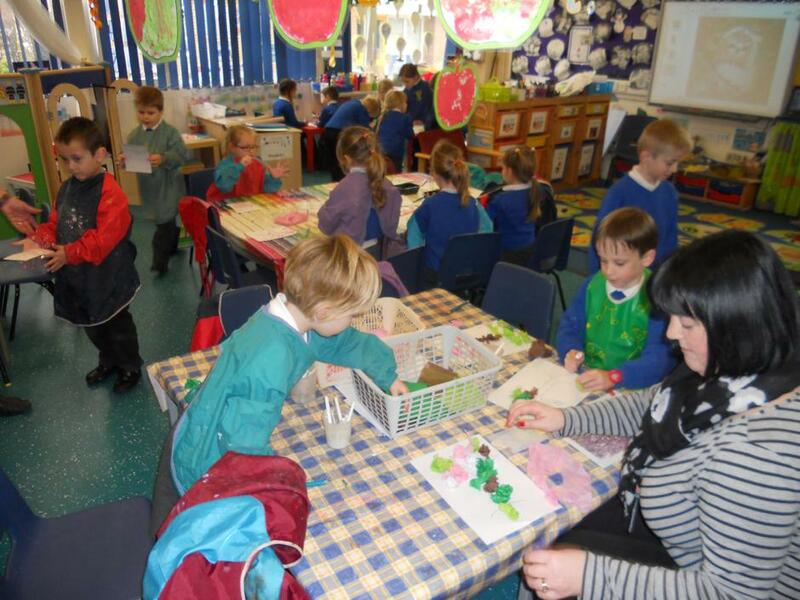 We had a fabulous day and many children thought it would be a great way to earn a living by being creative. 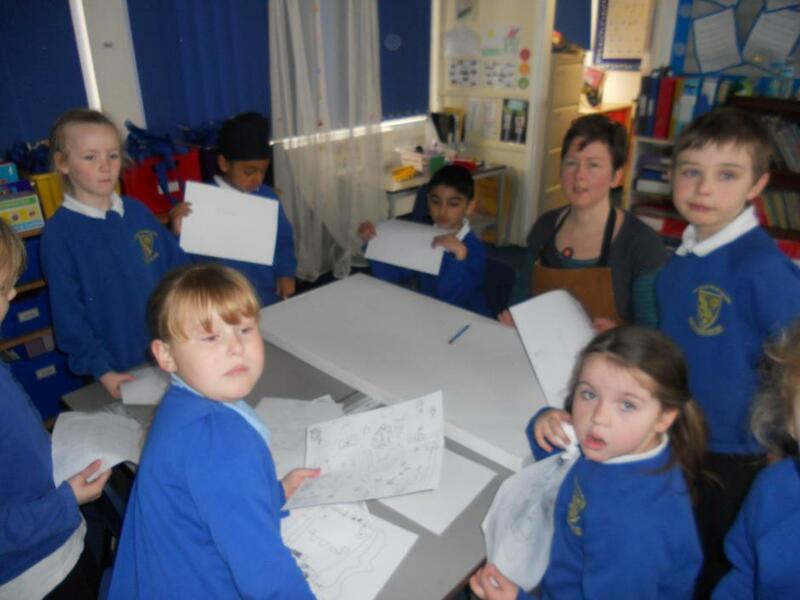 A huge thank you goes to the PTFA for buying the canvases and paying for the artists for the day. 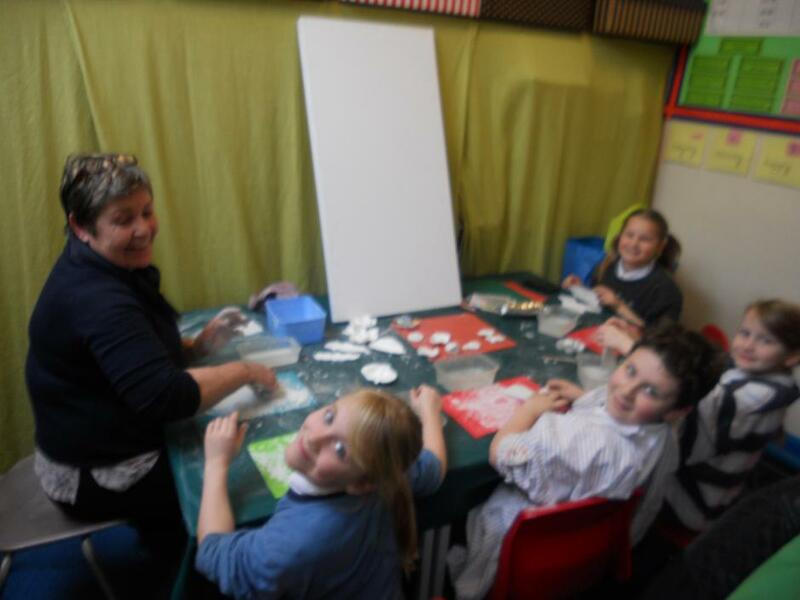 Gabriella and Harriet from Year 3 said, 'The art day was amazing. 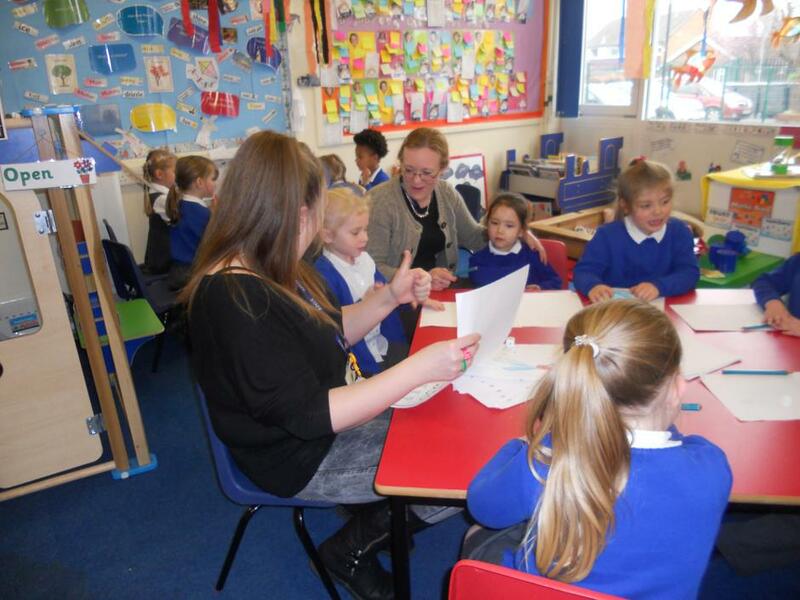 We tried new activities that we had never tried before. 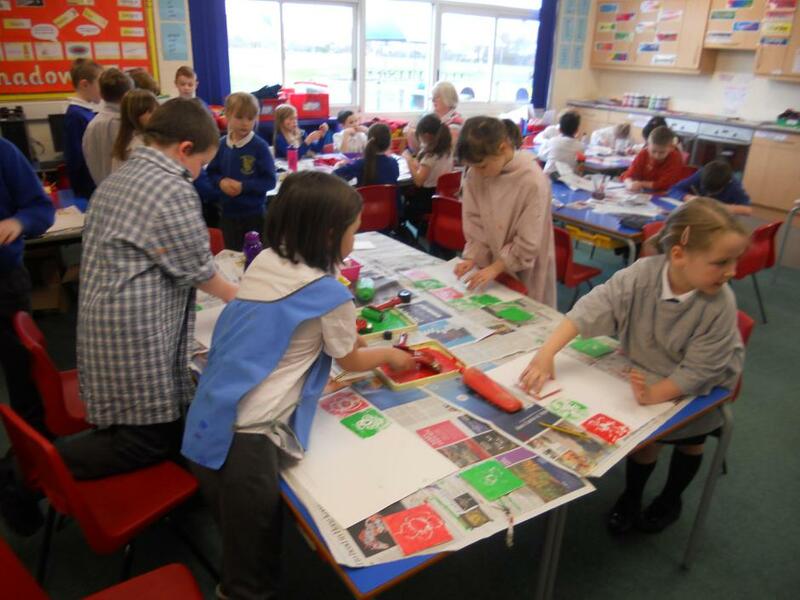 Our canvas makes us feel proud, because it is fantastic'.